Yeoman generator that creates AngularJS project with possibility to write your proxy server and to use remote server as your backend. If you are frontend developer with someone else writing the backend, this is the generator for you. Write only frontend code and use remote backend. If you want, you can mock some requests, until backend is ready. It also supports Maven build if you want (you will be prompted with a question). After you answered all the questions it will install NPM and Bower dependencies. Also, you will get examples of routing and unit tests inside the core module. Application should be developed with the modules (separated by the functionality) in mind. Each time you add new module, you will have to create module.js iside the route folder of the module which is responsible for registering it (see core example). Also, add that module name into app.js to load it. Tests are using Karma runner and Jasmine assertion library. You have got example of the test together with the generated project to see how write the basic test. There is a server folder delivered together with your frontend project where you can mock routes if you want. The imporant thing here is conf.js and mocked-routes.js. 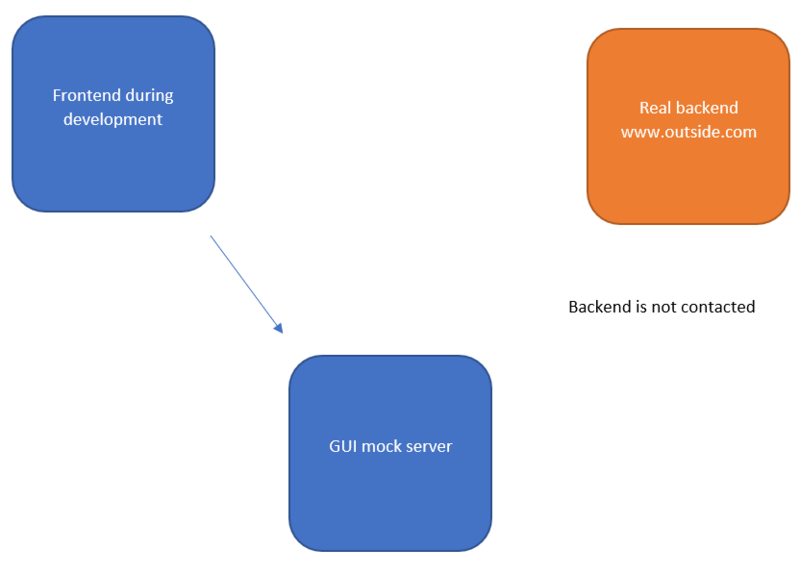 Inside conf.js you will define where your remote backend will be (targetServer) and on which URL rest is (restApi) and if you want to use mock server, you can define on which port to be started. 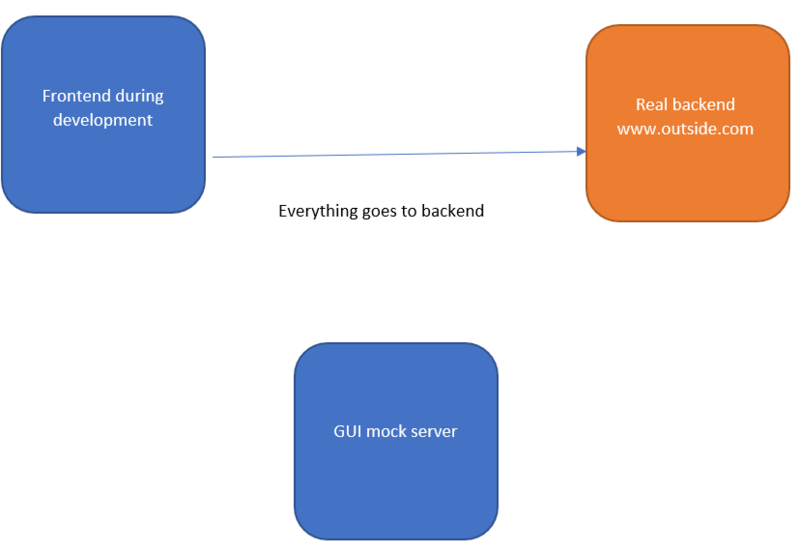 If you need only remote backend, just comment mockServer part. 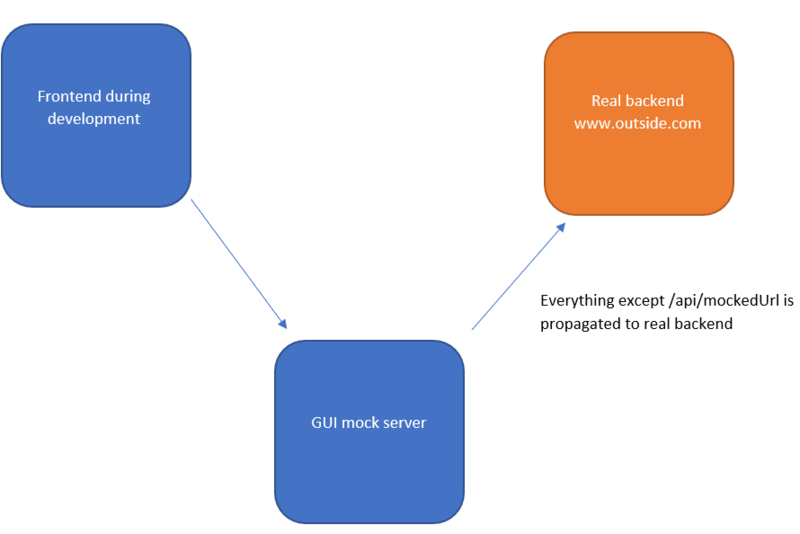 There is an example inside api/testing/index.js how to mock some of the routes. You can develop your frontend without any backend. Backend hasn't start development yet, but you already agreed on some API so let's mock that API. You can develop your frontend by just using your frontend project and using remote backend. You can develop your frontend by just using your frontend project and using remote backend, but in case remote backend is still missing some API you can write it inside your project. e.g. perspective of frontend developer I realized my backend developer will need more time to develop some feature so I'll quickly mock one API endpoint (/api/mockedUrl).